​*No substitutions! We spend a lot of time and effort in our recipes, changing an ingredient is essentially changing our recipe. We have a lot of options available, we’re sure you’ll find something you’ll love. Thank you! :) Build your own ramen is available as well. ** We source locally using only the freshest and highest quality ingredients to maintain the best product possible for our customers. Our menu prices reflect the best ingredients and rising food costs. with chashu, soft boiled egg, green onion, and sesame seeds. Rich Tonkotsu broth and black garlic oil with an appetizing homemade chili sauce, giving it a roasted and spicy complexity. Topped with chashu, soft boiled egg, green onion, and sesame seeds. with chashu, soft boiled egg, kale, green onion, and sesame seeds. and sesame seeds in spicy miso broth. Option available for vegetarian, please ask your server. red pepper thread, sesame seeds, with vegan noodle. *Sorry no substitutions! We spend a lot of time and effort in our recipes, changing an ingredient is essentially changing our recipe. We have a lot of options available, we’re sure you’ll find something you’ll love. Thank you! :) Build your own ramen is available as well. Grill chicken thigh marinated in soy and sake on top of ramen, topped with corn, black fungus, green onion and sesame seeds. Deep fried pork cutlet served on the side, topped with soft boiled egg, corn, black fungus, green onion, and sesame seeds. Chicken and fish broth, topped with chashu, soft boiled egg, bamboo shoot, black fungus, green onion, and sesame seeds. Topped with bean sprout, green onion, shiitake mushroom, seaweed, and sesame seeds. Also soft boiled egg is an optional. *All menu recipes based on garlic, sesame seed, sesame oil and soy sauce. **Soup and meats is contain soy sauce and other gluten products. ***We cannot accommodate allergies and gluten intolerance. You may or may not have heard of this increasingly popular dish from Japan, but it’s a new way to experience ramen. Cool noodles on the side, our own Sobo hot pork-based sweet, savory and tangy dipping broth, a cup of chicken broth to help cleanse your palette, or add it to the dipping sauce to make a soup. Toppings on the side. How do you eat this? Easy, just grab some noodles with your chopsticks, dip, and enjoy! We've learned a few things from our recent trip to Japan, and we're bringing you a newly inspired Country Miso Ramen. We source tradition Japanese Miso from Aedan Foods in San Francisco. 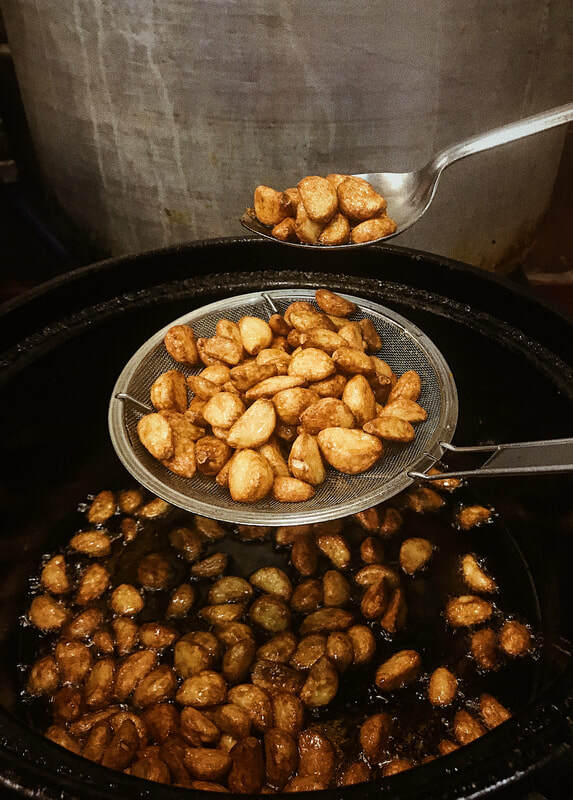 It’s made using rice koji, barley koji and organic soybean fermented for 6+ months, resulting in a rich, nutty, mild taste, with a rustic warm aroma. We then take the miso and blend it with our 24 hour cooked pork bone broth to make this tasty bowl of Country Miso Ramen. Half Lobster Tail, Organic Kale, Green Onion, Egg, Sesame Seeds in a savory tonkotsu Broth with hint of seafood. Drizzled with homemade Lobster oil. The oil is made from fresh lobsters and simmered for over 5 hours. Is the Japanese take on Sichuan Dan Dan Noodle. In this dish, our homemade Chili Noodles are swimming in a deliciously balanced soup (non spicy) with a melow nutty sweetness from Miso Tonkotsu, Sesame and Peanut. Topped with Spicy Country Miso Ground Pork, Peanut, Spring Onion, Egg, and Sesame Seed.